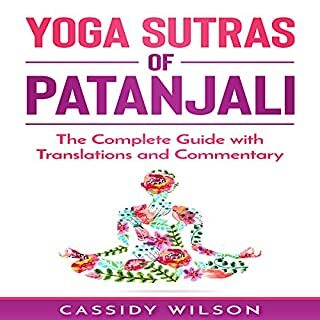 The Yoga Sutras of Patanjali by Patanjali explores yoga fundamentals, one of the six orthodox philosophies of the Hindu religion, and is revered as one of the greatest texts of the practice of yoga. Comprised of 196 aphorisms dating back to 400 CE, The Yoga Sutras of Patanjali is divided into four chapters that explore the blissful state, the practice, the manifestation, and the liberation stages of yoga. The Yoga Sutra is the living source wisdom of the yoga tradition. Using it as a guide, we can unlock the hidden power of yoga, and experience the promise of yoga in our life. The Yoga Sutra is as fresh today as it was 2200 years ago when it was discovered by the sage Patanjali. It is the first practitioner-oriented commentary which is fully grounded in a living tradition. By applying its living wisdom in our practice, we can achieve the purpose of life: lasting fulfillment and ultimate freedom. The first two limbs of the eight-fold path of yoga sutras - the basic text for classical yoga - are examined in this spiritual guide to the practice of yoga. Foundational to all yogic thought, they are considered to be the guidelines to the yoga way of living that free individuals to take ownership of their lives, direct them toward the fulfillment they seek, and gain the skills to choose attitude, thought, and action. Yoga's popularity is soaring, but its widespread acceptance as an exercise for physical fitness and the recognition of its health benefits have not been matched by an understanding of the emotional, intellectual, and spiritual development that the yogic tradition can also offer. In Light on Life, B.K.S. Iyengar explains this new and more complete understanding of the yogic journey. Not the right narrator for this title. It is estimated that more than 20 million Americans have practiced some form of yoga, yet almost none of them have heard of yoga's early teachers or their insights. While we are familiar with yoga's physical benefits, the original purpose of yoga as a path to inner freedom and enlightenment is embodied by only a few students in the West. Now yoga scholar Georg Feuerstein immerses you in The Lost Teachings of Yoga, the first comprehensive audio curriculum about yoga's original spiritual wisdom and practices. This simple introduction to both the Bhagavad Gita and Patanjali's Yoga Sutras is a gentle way to ease into these ancient texts. 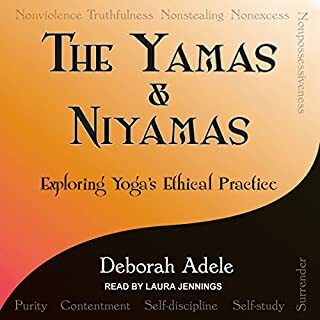 Crafted for use in Hatha Yoga studios, teacher training programs and experiential classroom venues, students will find the language of the book friendly and engaging while teachers will find a rich offering of dialogue-encouraging questions and activities to enrich the learning experience. Dhammapada means "the path of dharma", the path of harmony and righteousness that anyone can follow to reach the highest good. This classic Buddhist scripture is a collection of vivid, practical verses gathered from direct disciples who wanted to preserve what they had heard from the Buddha himself. Easwaran's translation of this classic Buddhist text is the best-selling translation in the US. The Yoga Sutra of Patanjali has long been shrouded in mystery and confusion. That’s because existing translations rely on confusing language and outdated interpretations. The process can be so frustrating that it seems that only yoga instructors or dedicated gurus are committed to studying this ancient text, the Yoga Sutra. This guide is intended to teach you how to be the leader in your own spiritual journey. By modernizing and simplifying the sutras, this guide makes it easy for you to know exactly how the sage Patanjali conceptualized yoga and the path to realization. What Hinduism needed, amidst the general disintegration of the modern era, was a rock where she could lie at anchor, an authoritative utterance in which she might recognize her self. And this was given to her in the words and writings of the Swami Vivekananda. Said to be the world's longest poem, Mahabharata was originally composed in 100,000 Sanskrit verses by the ancient Indian sage Vyasa. Revered as a sacred text within Hinduism, it contains the great spiritual teaching Bhagavad-gita. Krishna Dharma has condensed the epic into a fast paced novel that fully retains the majestic mood of the original. A powerful and moving tale, it recounts the history of the five heroic Pandava brothers, sons of the Emperor Pandu. Consisting of fewer than 200 verses written in an obscure if not impenetrable language and style, Patanjali’s Yoga Sutra is today extolled by the yoga establishment as a perennial classic and guide to yoga practice. As David Gordon White demonstrates in this groundbreaking study, both of these assumptions are incorrect. Virtually forgotten in India for hundreds of years and maligned when it was first discovered in the West, the Yoga Sutra has been elevated to its present iconic status - and translated into more than 40 languages - only in the course of the past 40 years. White retraces the strange and circuitous journey of this confounding work from its ancient origins down through its heyday in the seventh through eleventh centuries, its gradual fall into obscurity, and its modern resurgence since the nineteenth century. First introduced to the West by the British Orientalist Henry Thomas Colebrooke, the Yoga Sutra was revived largely in Europe and America, and predominantly in English. White brings to life the improbable cast of characters whose interpretations - and misappropriations - of the Yoga Sutra led to its revered place in popular culture today. Tracing the remarkable trajectory of this enigmatic work, White’s exhaustively researched book also demonstrates why the yoga of India’s past bears little resemblance to the yoga practiced today. ©2014 Princeton University Press (P)2014 Audible Inc. This book goes above and beyond to determine the history of the Yoga Sutra. What was one of the most memorable moments of The Yoga Sutra of Patanjali? No one in particular, but overall was very thought provoking. He pronounces names and words in sanskrit very well. Kind of. It's rather long though, and my brain needed a break to digest the confounding info. While this book left me without an answer, it was certainly an enjoyable ride, analyzing the history of the work. 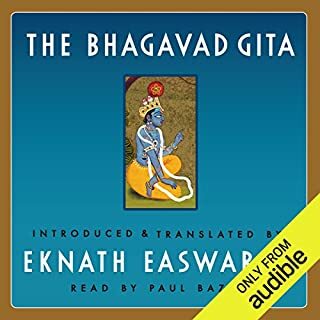 Any seeking to get the bearings straight with regards to philosophical and historical yoga would do well to listen to this audio book. kudos! Thorough research of alternative theories on the origin and significance of Yoga Sutras, from earliest records until recent years. Plenty of controversy as to the author of aphorysms and commentaries; excellent read for yoga practitioners interested in its philosophy. Very Thankful for this Work! Would you listen to The Yoga Sutra of Patanjali again? Why? Yes, I plan to listen to it several times. Many yogis use dates and facts that are not supported by the facts. Doesn't mean they are wrong, they just can't be supported. i.e. "Yoga as described in the Sutras goes back 5,000 years." Maybe, but probably not. I'm interested in what is really "known" about the sutras. Let's start with the truth, then build from there. If a yogi is afraid of the truth, I'm not sure that's a good foundation for their practice. Yoga Sutras Exposed: What We Really Know. It's hard to find a fair, purely academic treatment of Yoga. I'm sorry to see the yoga practitioners who rate this work poorly. One person gave this 1 star because they meant to purchase a traditional commentary, so instead of taking responsibility for their mistake, they took it out on the work. Not a shining example of yogic Ahimsa. The next reviewer found it a hubristic, cynical, sarcastic, and racist diatribe that is "veiled" as academic. So much so that they didn't complete it. Hmmm. No examples provide to support their position, no attempt to illustrate how the work is academically incorrect. If there was ever a need to practice Satya (2nd limb, 2nd observance: truth in thought, word, and deed), this is it. If you feel the work is bad, then state it as a feeling, not as a fact. If you're going to state is a fact, then back it up with examples, so the reader can decide for themselves. While I'm neither a practioner nor an academic, I do find it sad how yogic practitioners can behave so badly when confronted with an academic treatment of the texts they hold dear. It's not a question of intelligence: many of them sound highly intelligent, as the reader above who found the work hubristic. But, instead of attacking back because we feel our beliefs were attacked, we need to meet the academics on their battlefield and engage. Not launch potshots from a safe distance. I mistakenly purchased this thinking it was a translation and commentary. It is not. It is a "scholarly" work appropriate for the intellectual elitists. The author loves his intellect and spends much of his energy in a cynical and sarcastic tone. Great if you are writing a college paper, a waste of time if you are a practitioner. Would you try another book from David Gordon White and/or Peter Ganim? What could David Gordon White have done to make this a more enjoyable book for you? Who would you have cast as narrator instead of Peter Ganim? I was shocked at the depth of cynical sarcasm in the disguise of an academic work. The lightly veiled racism and contempt for Indian culture, religion and beliefs was also supremely shocking. One would have thought that in this day and age that these type of books would go nowhere and disappear. I really tried to continue listening, but simply had to stop, the narration was like some caustic drain cleaner that would get me into a cynical negative space. This author, hides behind what seems to be a well researched academic work, but in reality has no respect for this subject, its people or spirituality. In the end, why bother making such a negative book, whats the point, it benefits no one? I am not sure what is wrong with Mr White, but this book and narration do a great disservice to humanity, hopefully one day he will be like Saul on the road to Damascus and be hit by a blinding bolt of light, who knows? I cannot for the likes of me recommend this book, this is something I do very, very rarely. Essential study of Yoga without bias. It ia a shame that so many reviewers have dismissed this book because of the challenges it presents to their preconceived beliefs about the history of Yoga. And what an interesting history it has! Did you know that many Indian Yogis were armed ascetics and not quite the peaceful image portrayed in classic stories? Or that the Yoga Sutras fell out of favor for a couple of hundred years and that Tantric Yoga has very little relation to it? Fascinating stuff! If you can overlook this fault, you will learn everything about Yoga that is actually worth knowing. I saw where a few reviewers were pretty bitter when, after they bought the book, they found out that it was not a translation and commentary on the Sutra. (One reviewer pretty much called the author a “smarty pants scholar” 🤗) Please note the subtitle — “a biography.” Frankly, I was as surprised as any of those reviewers, so I think the book’s description could very much improved. If you want to know about the history of yoga philosophy in all its forms, and how and where that philosophy came from, and where the “yoga sutra” fits in that tradition, this is the book for you. If you want a deep dive into how to study and understand a text as old as the “yoga sutra”, this is the book for you. And if you wondered how Indian philosophy fits in with the great Indian epics, this is the book for you. And if you like well-written and well-read books on subjects you never gave too much thought about, this is the book for you. But, as the author notes early on, the “yoga sutra” means a lot to modern teachers of the discipline of yoga. If he is right about it being required reading for “certified” yoga instructors, and if you like the practice of yoga as it is done today, the author is very blunt or perhaps even insensitive when he makes it clear right from the beginning, that you have been misled about the contents of the “yoga sutra.” Or as one reviewer angrily put it, “it’s clear the writer does not practice yoga.” Yes, I’m afraid that seems to be true. But if you grit your teeth and press on reading the book with an open mind, and I think you’ll like it anyway. This book is pure garbage. it might be of interest to history buffs, but has nothing to do with the Yoga Sutras as a practice. Truthful appraisal of Yoga Sutra History. PLEASE, PLEASE, PLEASE read exactly what this book covers, it's about the HISTORY of the Yogasutra as opposed to the "religious" MYTH presented to us and so beloved among most misinformed yoga practitioners, both Western & Eastern. IT IS NOT a commentary and this can clearly be deduced by any who read the books description. 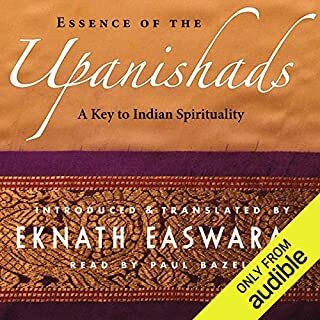 Having said the above those reviewers giving this audio book such a low review rating obviously must not have read the description properly thus showing a decisive lack of Buddhi, as well as showing Himsa in their attitude as opposed to what they should be cultivating i.e. Ahimsa ! Oh, and yes I am a practitioner though I also like well researched scholarly tracts on Yoga as well, the truth of the pudding is in the eating thus the truth of Yoga is in the Practice, and NOT ones often naive ideas of what it should or should not be, historically or otherwise. I would add something else as well, this, as the author of this book brings up though does not necessarily affirm himself, this looks more like a Buddhist work than Hindu, now personally as a Buddhist myself I would say that this is a Buddhist work, no doubt to the great discomfort of many, why do I say this, well, any knowledgeble Buddhist who reads the Yoga sutra can clearly see this, Buddhists through history never attacked this work simple because it agrees with Buddhist ideas, and believe it or not Patanjali (whoever he may have been) is recognized as a Buddhist Saint in the Tibetan Canon (which came from India), this would not happen to a non Buddhist ! So I grin and stick my tongue out at those reviewers who are upset with this audio book. As a practitioner myself I wholeheartedly recommend this book, IF AND ONLY IF YOU LIKE THE TRUTH or SATYA ! And I find it really funny I have to say this to Yoga practitioners themselves, well, some of them anyway. 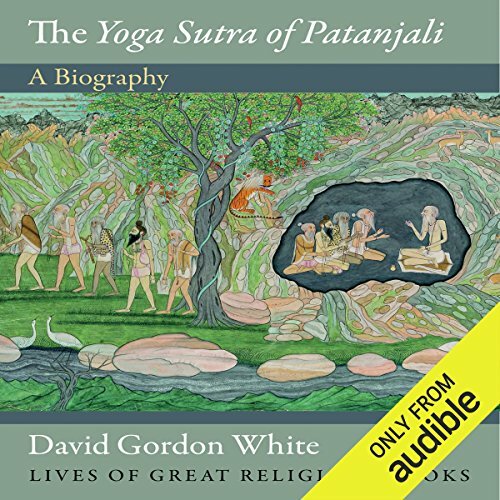 This audio spends much time on history around Patanjali but relatively little time on the sutra themselves.